First, let’s get up to speed: If you haven’t heard about the first-ever Women’s Health Live Festival, it’s two days of everything you love about Women’s Health online and in print – only now you get to experience it live! Here are some of the highlights you can look forward to. But, trust us, there’s going to be so much more! 1/ Get a selfie with Queen Fitnass. The stars will be out in numbers. But this isn’t one of those events where all the celebs hang out in a VIP area and you never get to see them. We’ve invited our cover stars and health heroes to Festival to share their stories and answer your questions. Want to know how Amanda du-Pont gets her hair looking so damn gorgeous? How Mapule learnt to do high kicks while skipping? Or superwoman Letshego Zulu‘s secrets to time management? Now’s your chance to find out. Better start perfecting your jumping pic game! READ MORE: The Programme For Festival Is Out – And It Is Insane! 2/ Ask the gurus your questions. Across two stages, the Women’s Health editors will be in conversation with leaders in the fields of health, fitness, food, finance, entrepreneurship and more. Ever wondered how to turn your Instagram obsession into a career? Or how the field of genetics impacts your health? Now’s your chance to hear the answers – straight from the experts themselves. 3/ Get on top of the latest wellness trends. Gone are the days when you got sick, went to the doctor, went on antibiotics and carried on with life until you got sick again. These days, it’s all about integrative wellness – using lifestyle interventions to prevent you from getting sick in the first place. Find out what new breakthroughs in diet, exercise, rest and technology will help you take charge of your own health and wellness. Try new products and learn how to tweak your diet to boost your health. 4/ Try a fun new fitness class. We’re not going to make you sweat as much as Fit Night Out, but it wouldn’t be a WH event without a bit of a booty-shake. The fitness stage will host mini-workouts throughout the day. 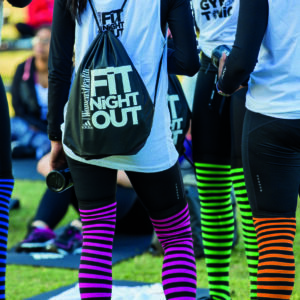 This is your chance to try Rockingnheels with Takkies, yoga with Cara-Lisa, Lisa Raleigh‘s new rebounder class, Popupgym and more, without getting too hot and sweaty. And when you’re done working out, you can head straight to our Festival adidas store to shop up a storm (hello, new gym gear)! 5/ Have your hair done at the ghd Braids Bar. Try out the hottest hairstyle for summer with a little help from the hair wizards at ghd. Best of all, it works just as well for spinning class and the klurb. 6/ Eat delicious healthy treats. Vegans, no need to worry whether there’ll be stuff you can eat – the Fry’s Plant-Based Food Court has you covered with a range of yummy snacks and meals. Gluten-free, sugar-free or low-carb? Handpicked food trucks and vendors will have plenty of options. And if you’re just a regular, burger-loving, chocolate-eating SA gal? There’ll still be lots to taste and savour – with a healthy twist, of course! 7/ Buy gorgeous local fashion. Your worked hard for that summer bod – now it’s time to flaunt it! From workout leggings to swimwear, we’ve hand-picked our favourite local labels to shop for yourself (hello summer!) or your besties – hello season of giving. Take advantage of Festival-only specials and get advice on the best styles and colours for your body and personality. Starting right now! 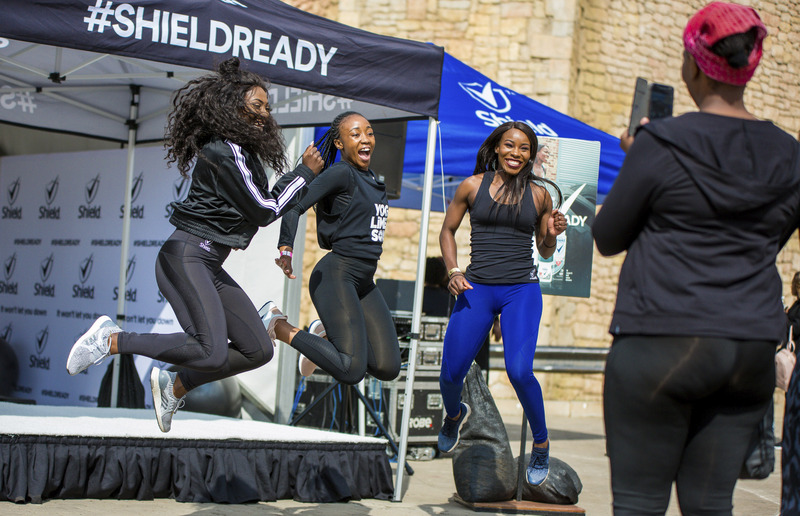 Book your ticket for Women’s Health Live Festival and you could stand a chance to WIN with our vendors just for securing your spot. Every day, we’re putting that day’s ticket-buyers into a lucky draw to win a mystery prize. Up for grabs? A personalised teeth whitening treatment to the value of R10 000 from CAHI DENTAL PRACTICE boozy popsicles for summer courtesy of Frost Popsicles, a VIP package to the festival that includes accommodation and so much more! Women’s Health Live! 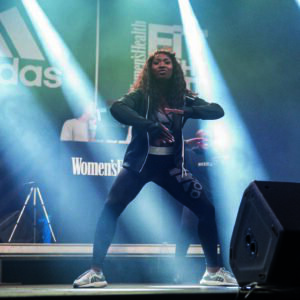 Festival is brought to you in association with adidas, ghd, The Body Shop and Fry’s Food.